Omnia Holdings Limited, a South African corporation, announced effective April 30, 2018 it has completed its acquisition of Oro Agri SEZC Limited to expand its sales and marketing capabilities in agricultural markets around the world. 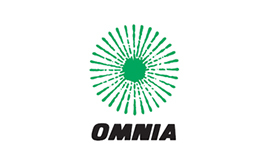 Omnia's Agriculture division is the market leader in plant nutrition products in South Africa and southern Africa and is recognized as an international player in the biostimulant market with product sales in 28 countries. 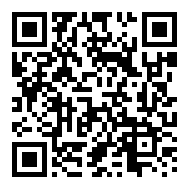 Oro Agri is a manufacturer of agricultural adjuvants, pesticides and foliar nutrients for agricultural, greenhouse, nursery and turf applications with sales in over 80 countries. It will now operate as a division of Omnia. "The Oro Agri purchase puts Omnia's agricultural business on an accelerated growth path. Their established global distribution network will provide additional channels for Omnia's products and will expand Omnia's international footprint. We see a great opportunity to take advantage of Oro Agri's experience in these global markets." is how Adriaan de Lange, Omnia group managing director explains the rationale behind the acquisition. He continues, "It also diversifies our risk across a greater number of agricultural markets which is a strategy Omnia will continue to pursue with possible future acquisitions." "In addition, Omnia's products mesh very well with our existing product line and on-going product development efforts around the world. Being part of Omnia will not only strengthen our R&D pipeline but also allow us to immediately market a more complete product portfolio including plant nutrients. This is not only a great deal for both companies but also for our distributor and grower customers around the world."